Think Lotus and you inevitably think about super lightweight sports cars delivering a great driving experience and bags of performance. The cars do tend to appeal to real driving enthusiasts and over the years they appear to be aimed more at track day fun than at everyday motoring. The heady Lotus cocktail of small and light cars which handle superbly and go like stink is certainly the real deal and the Norfolk company delivers pure driving pleasure as well as anyone. The problem lies elsewhere. Whereas these cars are great for days at the track and occasional trips, they have never been so good at the more rounded ownership experience. Other sporty marques like Porsche and Audi are able to deliver cars that excite when you want them to but still feel comfortable on a daily commute. 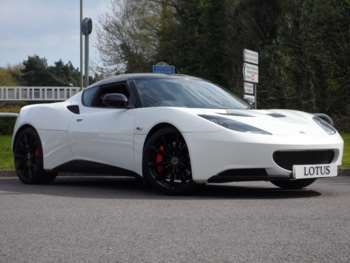 Lotus though has never quite managed that leap into the mainstream and the Evora is designed to do just that. It is a truly new car and that has been a long time coming. 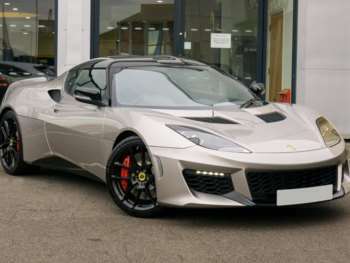 Lotus' previous all new model was the Elise, way back in 1995, thirteen years before the Evora's debut at the British International Motorshow in 2008. This was an important model for Lotus as it marked a move into the upmarket sports coupe sector, taking on the like of Audi's TTS and Porsche's Cayman. One of the first things you will notice about the Lotus Evora is the revolutionary interior layout. For optimum balance and handling, all proper supercars are mid-engined but that also means you have to lose the back seats. 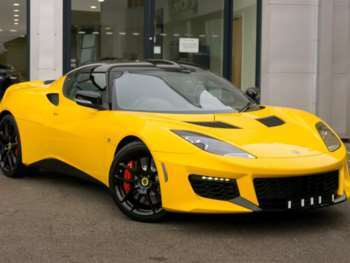 Not with the Lotus Evora you don't. The clever Lotus designers have managed to squeeze in a 2+2 configuration into the mid-engined layout, something that has been beyond other supercar makers. Admittedly the back seat is tiny and suitable only for children or those under 5ft, but it could be useful in emergencies. If you don't fancy it though, you can plump for a model with just the two seats and pay a bit less. Outside, the car's designers have managed to create a bold but elegant shape that accommodates the 2+2 design and all those European safety regulations. It is a more user-friendly experience too, with a higher driving position, lower sills and taller doors all combining to make the car easier to get in and out of. Inside you will find more creature comforts. The cabin is more spacious than we have come to expect from Lotus and the build quality and design are a step up too. There is a choice of trim packs, with the Sports pack enhancing performance, Tech pack giving you iPod compatible stereo and 7" Sat Nav, while the Premium pack gets you even more upmarket touches in the cabin. There have been some problems reported with the clutch and also some interior trim glitches but nothing too serious. The Evora has a three year 60,000 mile warranty, so even the earliest cars will have a bit of that left over to add some comfort. 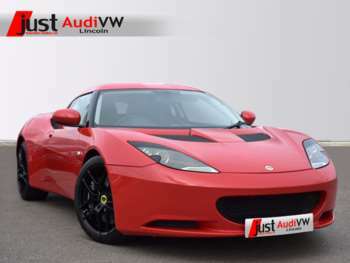 Many consumables for the Evora are Toyota parts because of the shared engine and parts can therefore be reasonable. Oil filters are cheap at £35 and spark plugs are a mere £5 a piece. A clutch is £180. The combination of the big Toyota 3.5 litre V6 and lightweight Lotus construction results in scintillating performance. There is a choice between the normally aspirated 272bhp engine which will take you to 60mph in 4.9 seconds and on to a top speed of 162mph; or a supercharged 341bhp version which will get to 60mph in 4.6 seconds with a top speed of 172mph. The fantastically tuned suspension and Lotus' engineering excellence results in a car that is an absolute joy to drive. Its agility in the corners and speed out of the bends may come as no surprise but what is new is the car's ability as a long range cruiser. 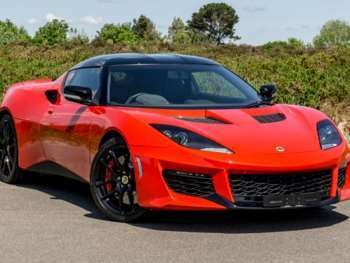 The Evora has managed to add comfort and refinement to the usual sporty Lotus attributes and that makes the car a definite winner. 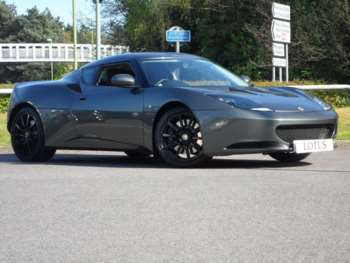 Got a specific Lotus Evora model in mind?